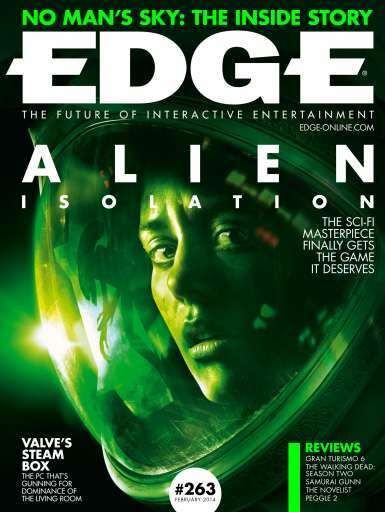 Edge is the leading multi-format video game magazine, with masterfully written articles for all things video games. Edge dives into gaming’s 8-bit roots all the way to the behemoths of the current age. 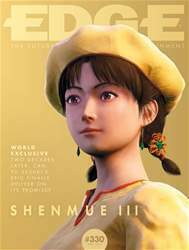 Beautifully designed, Edge magazine is renowned for its stunning artwork which is unrivalled by any other gaming magazine out there. In-depth articles giving insightful news on the latest in the video game industry, sneak peeks on the current masterpieces in development and detailed reviews of the video games asked for by the community - Edge has it all! 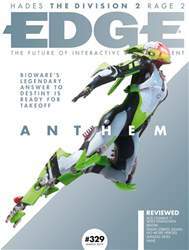 If you’re looking for a graphically stunning magazine with intelligently written articles that delve deep into what matters most in the video gaming world, subscribe to Edge today! Looking for Edge in print? Unfortunately pocketmags.com does not sell print copies of Edge, but all is not lost. Our partner at magazine.co.uk sells print subscriptions at the best prices online. 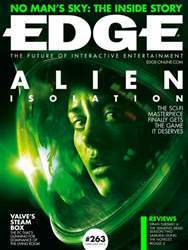 Edge magazine is bold, intelligent, informative, brilliantly written and masterfully designed and has been ever since its launch in 1993 - Edge has been dedicated to providing top-notch video gaming content. Amongst Edge's plethora of stunning gaming content, you will find a few staple components that make up the magazine. Firstly, you can always expect a broad array of reviews and previews. These articles are written with the reader in the mind and aim to give a thought-provoking yet insightful look at various video games. You can expect never before seen content that is only available in Edge, plus interviews with the creators themselves that really delve deep into the questions the community want to know. In every issue, you can guarantee to receive a “making of” video game series or title which contains details on the innovative and groundbreaking features that made it so successful. 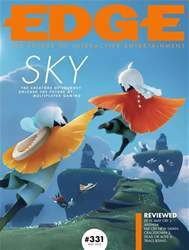 Edge magazine also writes about the deeper technical knowledge of the games and the “codeshop” features for all of those interested in the core design themselves. “Create” gives a detailed look into the production of video games and identifies the most modern technology, the greatest minds and the innovative designs that make them so brilliant. Finally, you can expect detailed reviews that cover hardware and software from across the globe. Edge’s reviews give you a clear picture of what hardware/software you should be buying and gives you honest reviews - not just what the creators want you to believe. You'll receive 13 issues during a 1 year Edge magazine subscription. I've been reading Edge magazine probably since it's inception, and have always loved the style and design of the magazine, as well of course the well written reviews and articles. You'll receive 13 issues during a 1 year Edge magazine print subscription.